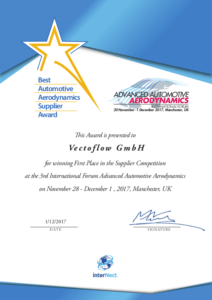 The annual conference, this year held in Manchester, covered topics like passenger car, truck and race car aerodynamics. The conference had a very high quality and a wealth of networking opportunities, with the most important decision makers and managers from many large OEMs like Audi AG, Porsche, Honda R&D, various F1 Teams and suppliers attending. Interesting workshops discussing the best combination of CFD and experimental testing rounded off the event. 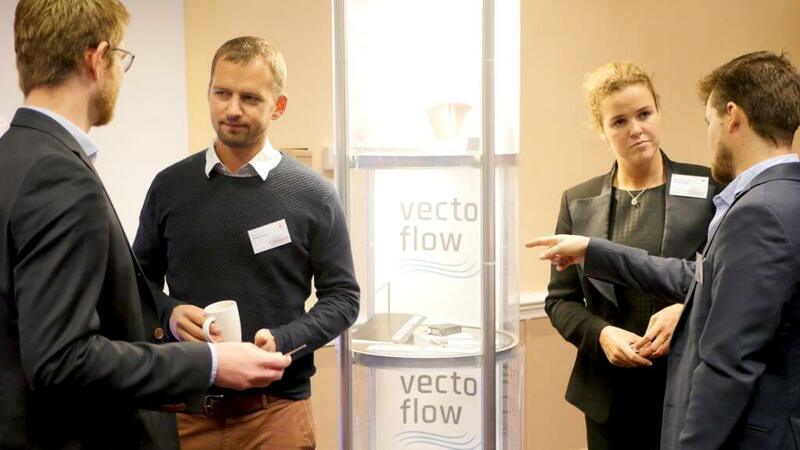 Vectoflow was sponsoring the conference for the first time and we were happy to meet with current and future customers. We want to thank all participants for great discussions and for voting for us.